Even if you have to comprise on a smaller sized TV, you dont have to opt for anything less than excellent quality. Getting yourself a 40 inch smart TV opens up so many doors and allows you to get a good quality TV for a fraction of the price youd pay for a larger size. Its not all about having the biggest TV, sometimes getting a smaller but excellent build TV serves you well as theyre often cheaper and last longer. 40 inch TVs arent seen as huge these days which is why they have dramatically reduced in price over the last few years, but if youre on the lookout for one, then youre in luck! There are hundreds of brands and Smart 40-inch TVs out there to choose from, youll be spoilt for choice. What to Look for When Buying a 40 Inch Smart TV? How much is a 40-inch Samsung Smart TV? What kind of wall mount do I get for my 40 Inch Smart TV? 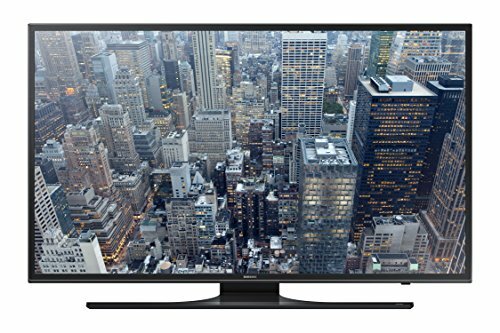 What is the best deal on 40 Inch Smart TV? Which 40-inch Smart TV is the best? Which Smart TV of 40 Inch has a full web browser? A 40 Inch Smart TV takes how many watts? In the technology industry, there are a jungle of products (in particular 40 smart TVs) which means, you have more than enough to choose from. But, you have to know what the best qualities are too, there is no point in paying a good amount of money for a 40 inch smart TV and it doesnt even work correctly! You need to know the ins and outs of the technology world. And, thats why we have created this list and buying guide. Weve included a list of the top 8 Smart 40-inch TVs you may want to purchase, and weve also added a buying guide to help you out further. We know its a difficult job finding a good quality TV on the market but were here to help! Perfect for anyone on a budget, this Samsung J5200 model has an excellent picture quality and a low input lag if youre wanting to hook up a console to the TV. It has a modern and sleek design that is sturdy and stable especially around the younger ones. Despite being a little thicker than a typical LED TV in our modern age, its still an excellent home theater TV you could easily mount to the wall. It doesnt struggle much either, one of its only downfalls is the noticeable motion blur, but this isnt anything that could majorly ruin your viewing pleasure and shouldnt be accounted for if youre not a technology nerd (unlike us!). Its the perfect family home theater TV, its affordable and great value for money. This Smart 40-inch TV is also full-HD (1080p resolution) so you can watch all your favorite movies and TV shows with a crisp and clear image. Why We Liked It - Samsung is a TV manufacturer known for making good quality TVs, but, not everyone wants to pay the high price they assume they do. Its all about finding good smart TV deals in the sale or during the huge sales every year. Its a great value for money TV with lots of added features you wouldnt expect for the price. If youre wanting something a little more expensive but upper market, this 40-inch Vizio TV is the best choice. Although it initially costs more than other Smart 40-inch TVs, its a perfect addition to any family home. It delivers a high-quality picture and handles motion blur excellently. The smart features are also another perfect element to this model. To top it all off, this 40-inch TV has an amazing 4K resolution that is sure to impress everyone who watches your new TV for themselves. The design of this 40-inch Vizio TV isnt anything special, its standard and looks nice in a living area but doesnt stand out from the crowd. This Smart 40-inch TV also has rather large borders which arent a huge negative, but they can deter certain people from buying it. Other than those flaws, the 40-inch 4K TV is an all-rounded great choice for your family home. It has a high native contrast meaning every color pops out at you, and the design is also thin meaning it can be mounted to a wall. Why We Liked It - Although the Vizio TV manufacturer isnt known a lot around the world, theyre popular in the technological world for being a TV manufacturer that provides good quality products. 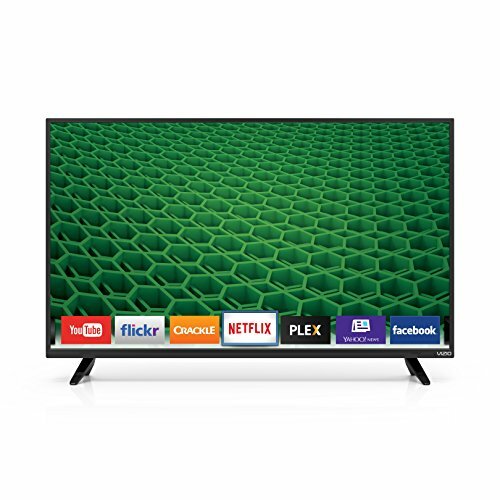 This 4K Ultra HD Vizio TV may not be the cheapest available, but its a nice choice if youre looking to add something different into your home. Keeping in tune with the 4K resolution theme, we have the Samsung KU6300 model. It doesnt have the best picture quality, but it does have great black levels and high native color contrast. The input lag is low, so gamers can definitely take this 40-inch LED TV for a spin with their play station or other games console. It's possibly one of the best 40 inch HD LED TV's money can buy right now on the market. The design is similar to other Smart 40-inch TVs, and it has a center stand and a black matte color design. Although its essential, its smart and looks good in almost any household. This 4K Ultra HD TV is also thin and can be mounted to a wall easily. Something that does make this stand out is the reflective borders, theyre ideal if your house is contemporary and stylish! We particularly love the brightness and contrast of this UHD 4K gaming TV and how it can show off the different colors nicely. Why We Liked It -LED TVs are always great value for money! This model has a matte design that we love, and it fits perfectly into any modern home. Its 4K resolution is fantastic! 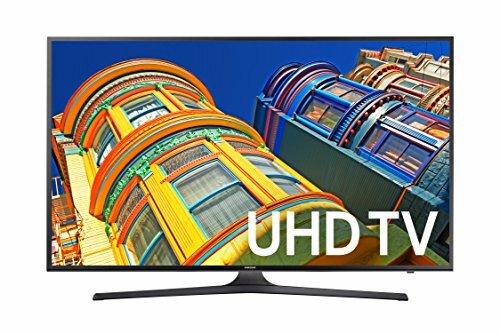 Featuring great black uniformity and minimal motion blur, this Samsung full-HD TV model is a good choice for anyone who wants to save some money. Its a cheaper model compared to others out there, but it still has useful features. The design is sleek, and it has a center shiny black stand that can keep the TV sturdy and stable. The borders are average (around 0.83) in thickness, but this doesnt affect the way the TV is viewed. Its also ideal for reflections, the brightness can handle the natural reflections that hit it at any point. This means you dont have to worry about where you position the TV in your home! One of the one flaws it has is that its a little slow and outdated. The design is also a little cheap and bulky considering the price. But, overall, its a nice TV with some extra features you can make use of. Why We Liked It - Any family who loves to watch movies, or TV shows will love this model! It has a great picture quality, and its worth every cent you pay. It may be expensive, but its definitely worth the price to have family time with your kids. 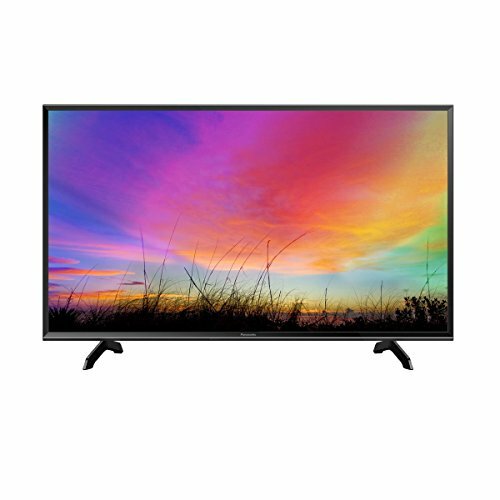 Anyone looking for the best deal on a 40 smart TV should opt for this Samsung MU6300 model. Its a better than average 4K smart LED TV. It may not be extravagant or anything fancy, but its a nice 4K Ultra HD TV with extras. The design is also great too, its chrome grey and has a center stand supporting it quite well. The borders are thinner than average which makes it look sleek and modern. If your home needs something with good build quality, this is the perfect choice for you. Unfortunately, the quality of the screen will degrade at different viewing angles, but this isnt anything significant as the flat screen is well-lit and doesnt reflect light easily unlike some Smart 40-inch TVs. The 4K Ultra HD TV has limited HDR features which may also disappoint, but its not something to get worried about. Its a good 40 Inch TV with high sound quality and a low input lag for any gamers out there. Why We Liked It - The decent picture quality is something we love, its always better when a TV has a higher quality than usual. The input lag is lower than average which means gamers can make the most of it. Finding an upper market 40 Inch TV for a family is difficult if youre on a budget. But, this 40-inch Samsung MU7000 TV is definitely something youll want to display in your home. It has a chrome shine finish and super thin borders you dont have to worry about it suiting your stylish home. It also has metal edges which could be seen as dangerous but add a nice touch to the TV anyway. There are very few flaws with this model, and since the 40-inch Samsung MU7000 TV can display a wide colors range, there isnt much to complain about. The only major concern would be that the picture quality deteriorates at an angle, but this is similar to other Smart 40-inch TVs available. Despite this, its a great 40 inch smart TV with amazing sound quality and a low input lag for all the gamers out there. Why We Liked It - When you pay a lot of money for a Smart 40-inch TV, you need to ensure it has all youre the requirements you need. 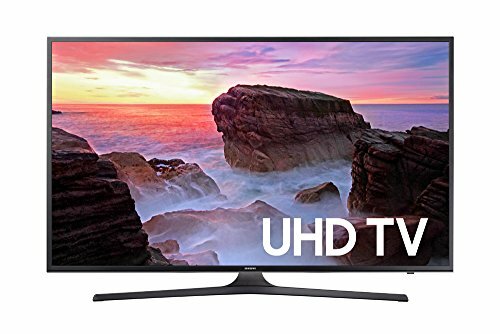 This 40-inch Samsung MU7000 TV is a great alternative if youre unsure of what to get and arent updated with the latest technological advances. Try buying a basic 60hz TV with a smart interface and extra advanced features, theyre worth the price! This Samsung J5500 model has a good picture quality regardless of being in a dark or bright room, it has a beautiful screen and overall the design. The design isnt curved, but it has a matte black back and a chrome grey finish on the borders and stands. This is great for anyone who wants a 40 Inch TV that looks and plays the part! In addition to this, the blacks are deep when viewed in a dark room, all of you scary movie lovers will be able to purchase this TV and watch your favorite classics. However, it does have some issues and flaws that while isnt dominant, do negatively affect the Smart 40 Inch TV and the way it performs. The motion blur isnt handled well, and the sound quality could be a lot better. Other than these two flaws, it is a TV that is definitely good value for money. Why We Liked It - Since this Smart 40-inch TV has a center stand and thus a small surface area, you dont have to invest in a huge unit to stand the TV on. Or, you could even mount it to the wall. There are so many different possibilities you can explore with this TV unit and screen. Perhaps youre on the lookout for a reasonably-priced smart TV 40 with extra features? If you are, youre in luck with this Samsung JU6500 Smart 40-inch TV. It has a shiny black design and sits stable and sturdy on a unit or can be mounted onto a wall with a simple bracket. Its a basic but well-performing TV, and it has a 4K resolution too which is excellent if you love to feel indulged in a movie or TV show. It only has very few flaws which include that no 24p supports are resulting in a judder when movies are played, and there is a loss of color saturation at an angle. Why We Liked It - Despite being basic, this 4K Ultra HD TV would still sit comfortably in a modern and sleek living area. There are only minor flaws, and the design is particularly great if you have young children and need something super stable. Every TV is different, but they should all have similar good qualities. You will find that the more you look through options, there is a pattern with the good ones and the bad. 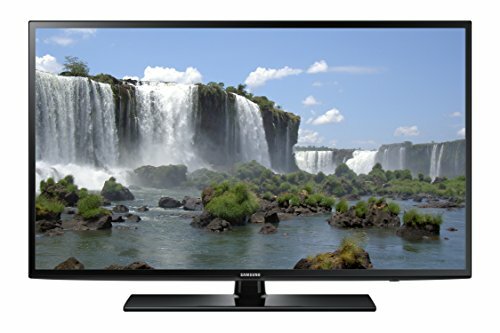 You want to get a TV that is good value for money as well as being good quality. Its not ideal to pay a huge amount for a TV that isnt going to last a while, you want it to serve your family well. 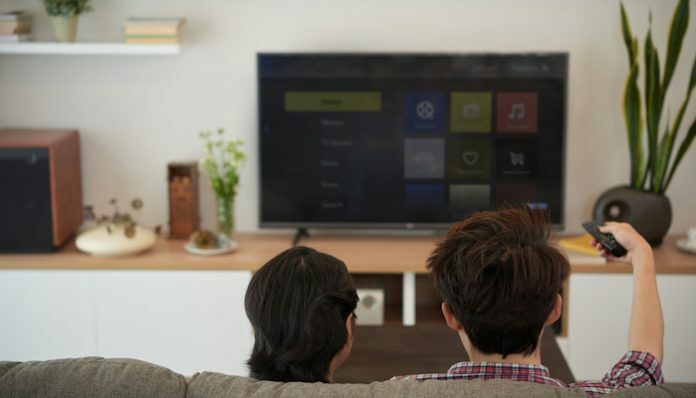 Weve put together some factors you may want to look out for when buying a 40 smart TV and what makes them better than the other options available. Most of these factors are down to the quality of the TV and will vary according to the different TV manufacturer brands and manufacturers out there. There are many personal factors to consider, but its important to think about how well your TV is going to perform for the price you pay. Good Picture Quality If a 40 smart TV has a good picture quality, then it should be capable of showing HD footage. This doesnt have to be a 4K resolution, it could merely be a 1080p LED resolution. HD screens are amazing to watch your favorite movies and TV shows on and a lot of the time, the best companies and TV manufacturers opt to make their 40 smart TV with an HD screen. Although its not an essential element, its still practical to think of how your viewing experience is going to be influenced. Good picture quality can change how you watch everything, and it can make everything better. If youre wanting a 40 inch smart TV with the best HD screen around, you may have to pay a large price, but it will be worth it! Low Input Lag This is a factor to consider if youre going to be connecting a video games console and playing games regularly on the TV. Having a low input lag means video games are easier and clearer to see, even if theyre fast-paced. We would highly recommend getting a low input lag TV, even if youre not going to be playing lots of video games on it as its a good feature to have if you ever need it. It wont directly affect your viewing experience unless you want it too either. Sometimes its just ideal to purchase a TV that has a low input lag in case you ever need it. HDR Content Referring to the picture quality, the HDR feature offers users better-viewing pleasure, with deeper and more graphic display and a 4K boost, theres nothing you could want more than this on your new TV. The feature has been made with the user in mind and just makes your TV experience better than you could ever imagine. It does shoot the price of the TV up though, you must be willing to spend a larger amount on it than you would if you werent getting the feature on your 4 smart TV. Prices vary a lot depending on the features the TV has, you may want to research all different TV manufacturers and make a decision based on that. 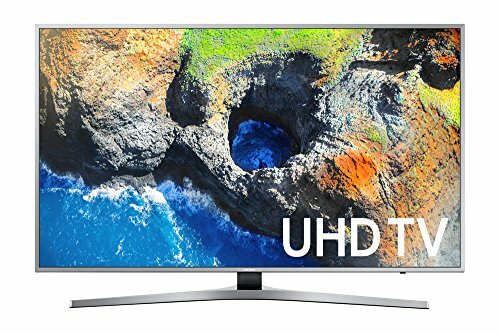 If youre looking to save money but still want a 40 inch smart Samsung TV, you will want to look at the less expensive ranges. That way, you get what you want, and you dont have to pay a considerable price. Typical smart TV prices start at around $300. Since you can get a variety of different wall mounts for your TV, you must consider where its going to go, and how the wall mount will be used. If youre looking at getting a 40 inch smart TV in a bedroom, you could invest in a wall mount that pulls out. Or, perhaps youre looking for a wall mount that secures the wall to the unit its on if you have a young child, theyre available too. Then there are the wall mounts that are static and stay attached the wall all the time. Its ultimately your decision, and you should decide what amount is best for you. As long as your TV fits the requirements of the wall mount (e.g., the size), you dont need any specific wall mount. Its down to your personal preference. Its always best to shop around for deals. Try looking on Amazon or another retailer and find the best deals out there. Black Friday (in November every year) is the perfect time to find a deal on a 40 smart TV. There are hundreds or even thousands of deals during Black Friday weekend too! 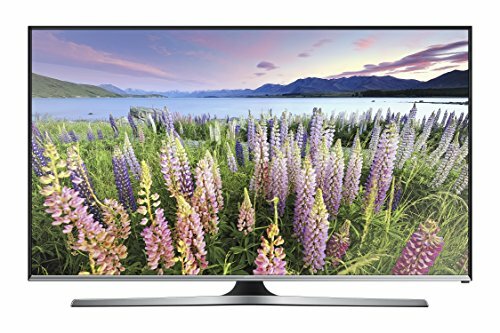 The best deal on 40 smart TV has to be the Samsung UN40J5200 - B00WR292JE model. Its not only one of the lowest price 40 inch smart TVs but its LED and has 4K resolution theres nothing more to love! Every smart TV, regardless of size, should have a full web browser. You should also be able to connect to specific apps that are on the TV without a problem. The whole reason smart TVs exist is to browse the web on them, they should all have it included. However, we may suggest asking the retailer when youre in the store just to be safe. If youre talking about an LED 40 inch smart TV, on average, they use around 31 watts, but if youre purchasing an OLED or LCD and LED, they typically use a lot more. Considering a 40 inch TV isnt too big, it shouldnt be a high figure, but for the Smart 40-inch TVs that arent LED, it will be a little more. The best TV brands are Samsung, LG, Vizio, Panasonic, and Sony. They all produce great quality technology pieces, and you know youll get a great warranty and price range if you opt for a model by one of these brands. They are known all over the world for producing great quality TVs. The Japanese where the first nation to experience Smart TVs back in the 1980s when the first few intelligent television receivers were introduced. They have since dominated the world, including in places such as Europe, America, and Asia.